Well, I’m not sure exactly what went wrong with this Sweet Plantain Drop Biscuit recipe. 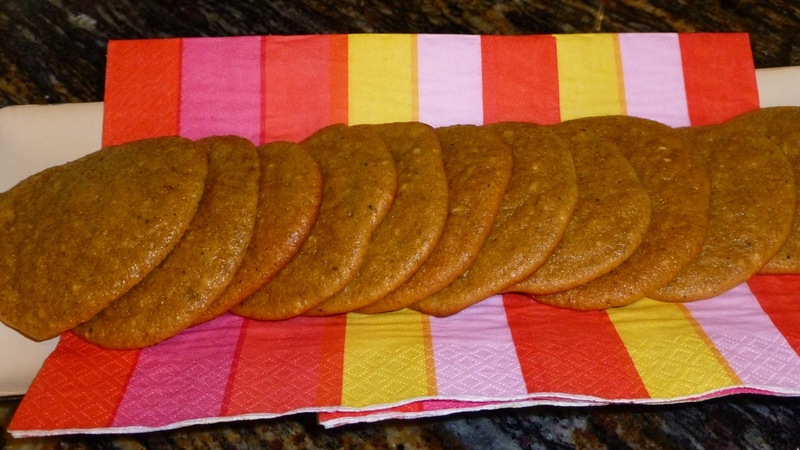 Everything was going smoothly and I was hoping that these biscuits would turn out because I absolutely love sweet plantains AND biscuits … but, the biscuits came out more like a cookie. Check it out and let me know if you can tell what might have gone awry. The ingredients were simple enough — and yes, my eggs were at room temperature (that’s something I learned a long time ago in baking). The plantains were quite ripe also — yes, just like the recipe says, they have to be very ripe even to the point of the skin being all black (as long as they aren’t moldy). You’ll be frying these beautiful plantains on a skillet until they’re browned on both sides. 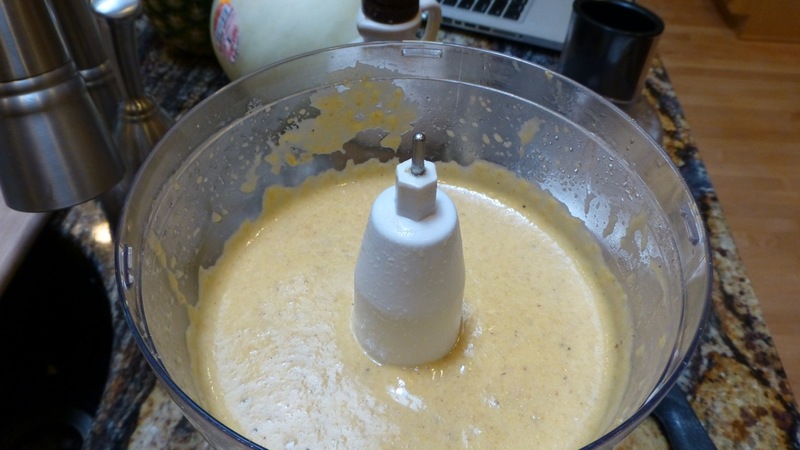 Then adding them to a food processor and pureeing them. Next add the stuff that helps thicken it, i.e. 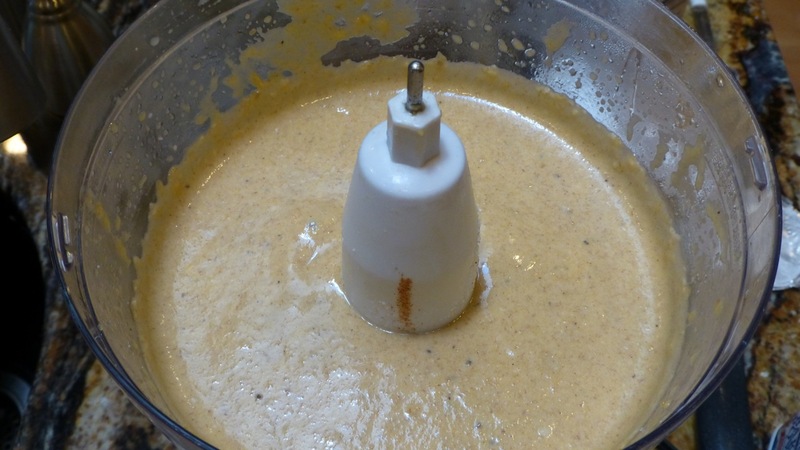 coconut flour, cinnamon, baking powder, and salt then puree it one more time to blend it all. The recipe asks you to use an ice cream scoop to plop them on a baking sheet lined with parchment paper but my ice cream scooper is odd shaped so I had to use two plops. At this point, my hopes are still high. 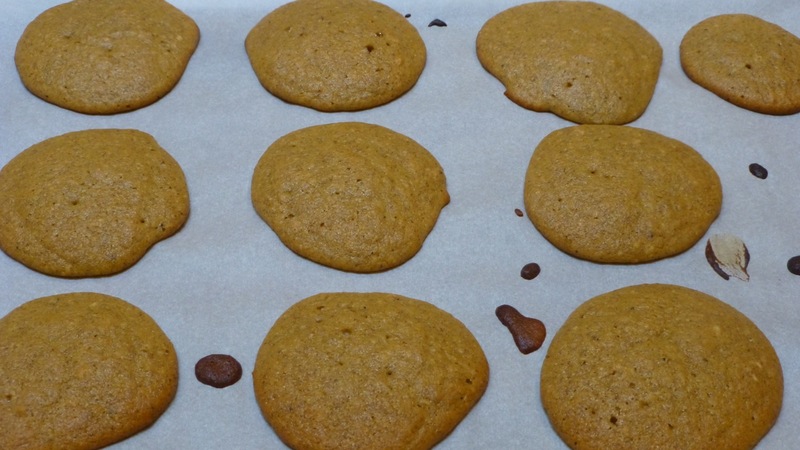 So — I’ve renamed them to Sweet Plantain Cookie until I can figure out what went wrong. Anyone have any thoughts? By the way, I did use the canned coconut milk which I found delightfully thicker than the boxed one I’ve been using from Trader Joe’s. 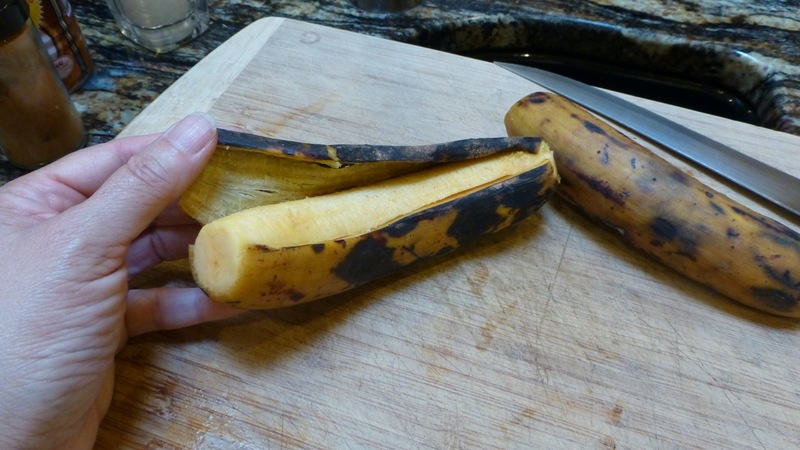 Cut the ends off the plantains then use your knife to cut them in half lengthwise to peel the skin off. 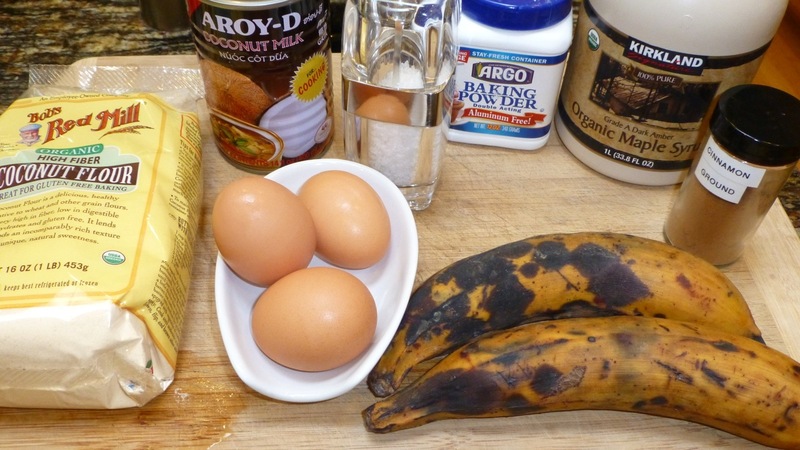 The browner the plantains are the sweeter they will be and the easier the skin is to take off. 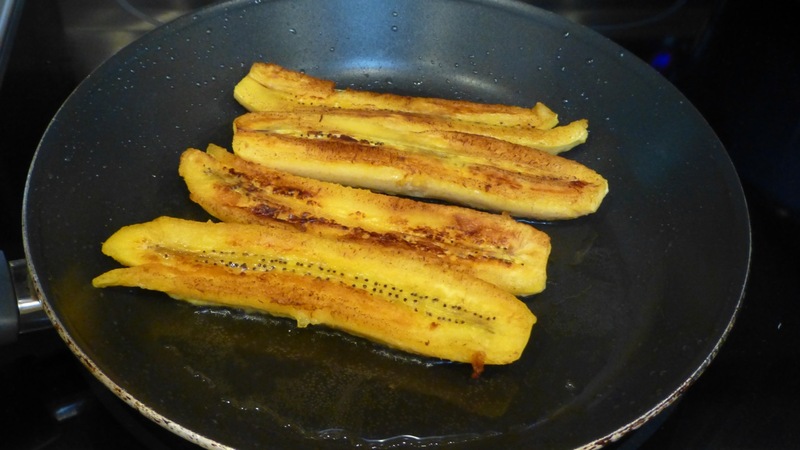 In a skillet over medium-high heat, heat the coconut oil then add the halved plantains to the skillet. Cook on both sides for about 3-4 minutes until browned. 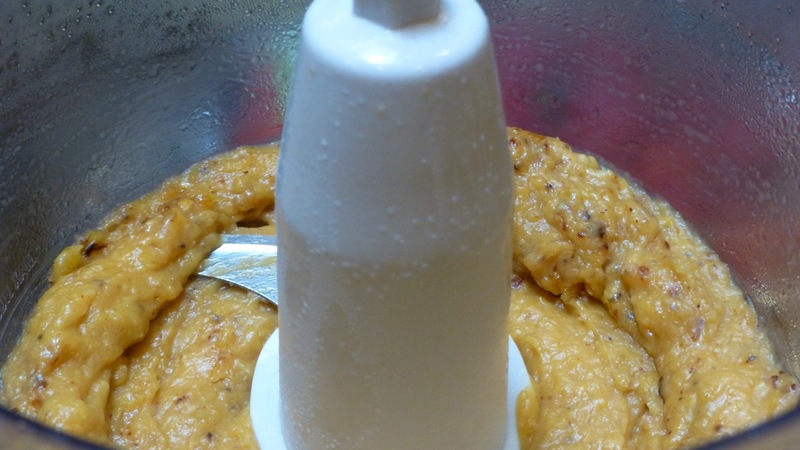 After browning, remove them and add them to the food processor. Puree until they begin to clump together. 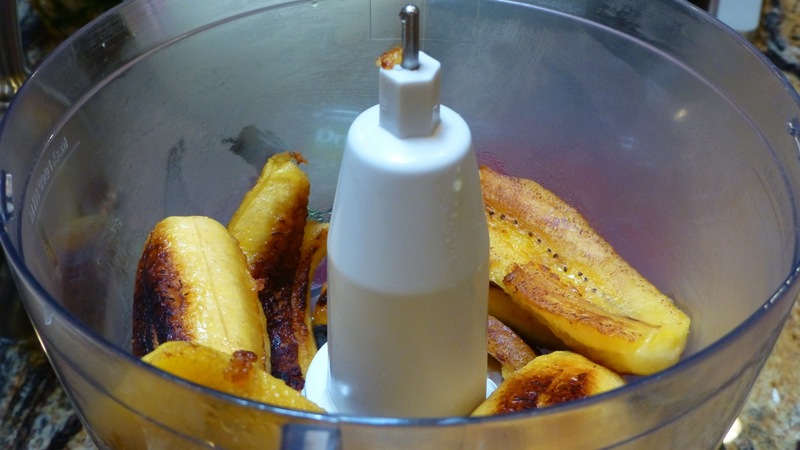 Add the maple syrup, coconut oil, eggs, and coconut milk to the plantain mixture then puree until smooth and there are no clumps. 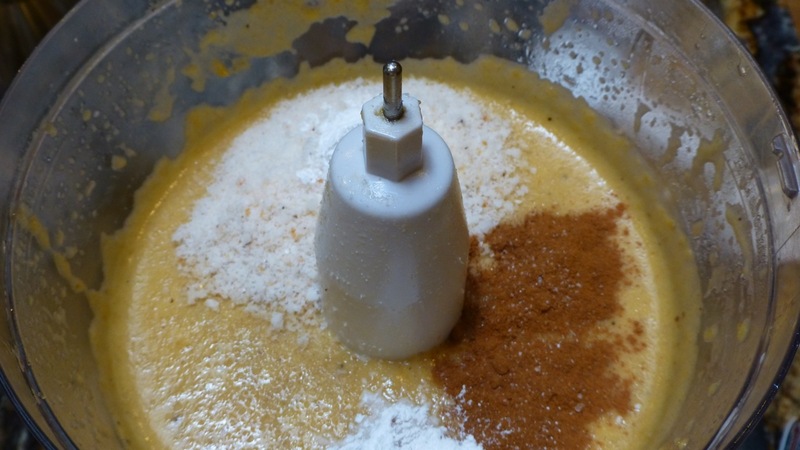 Next, add the coconut flour, cinnamon, baking powder, and salt to the food processor then puree one more time to blend everything together. 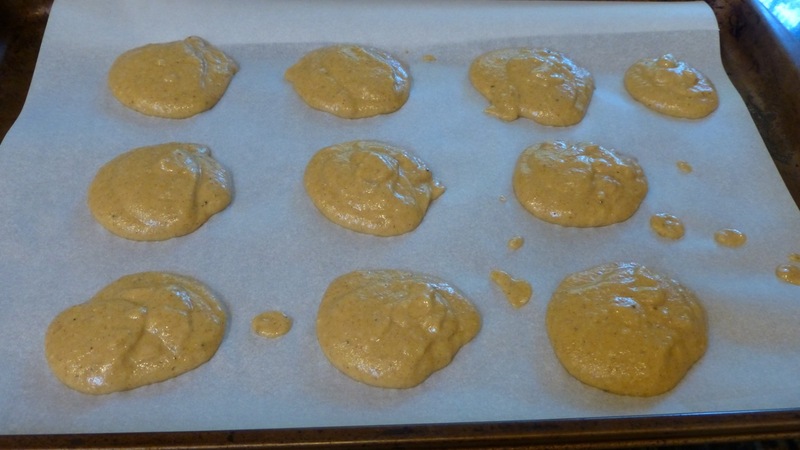 Line a baking sheet with parchment paper and, using an ice cream scoop, scoop the batter out to form balls then plop them on the baking sheet keeping them about 1 inch away from each other. Bake for 20-25 minutes until slightly brown and completely cooked through. Allow them to cool before eating. That’s it! Let me know if you try them and if you make any changes. A special thanks to PaleoOMG who has an amazing website if you’re looking for more paleo recipes.